The Porsche GT Team has won the final round of the 2018 IMSA Weathertech SportsCar Championship. Patrick Pilet, Nick Tandy and Frédéric Makowiecki won the Petit Le Mans race at Road Atlanta. In the race over ten hours at Braselton, Georgia, Porsche put in a strong performance against tough competition in the GTLM class. Thanks to perfect tactics and a flawless race, the Porsche 911 RSR scored its third win of the season in the North American championship. Laurens Vanthoor (Belgium), Earl Bamber (New Zealand) and Mathieu Jaminet (France) concluded the last IMSA race of the year in sixth place. The victorious trio in the No. 911 Porsche maintained their promising position in the early phase of the race. With consistent lap times and perfectly executed pit stops, the three worked their way through the field at the endurance classic. With approximately three hours left on the clock, Makowiecki moved into the lead and defended this position. Tandy then brought the car over the finish line in first place with an advantage of 11.443 seconds. For 71 laps, the sister car with the starting number 912 was also on course for victory – despite a puncture early on in the ten-hour race. A drive-through penalty, however, threw the trio down the field. Bamber, Vanthoor and Jaminet tried everything to catch up, however the fierce competition in the GTLM prevented them from making up lost ground. The vehicle crossed the finish line one minute behind the winning No. 911 car. In the GTD class, the Porsche customer team Wright Motorsports concluded the final race of the season in fourth place. Works driver Patrick Long (USA), Porsche Selected Driver Christina Nielsen from Denmark and Germany’s Robert Renauer put in a strong drive in the Porsche 911 GT3 R with the starting number 58. However, like with the No. 912 factory car, a drive-through penalty cost them a possible class win. 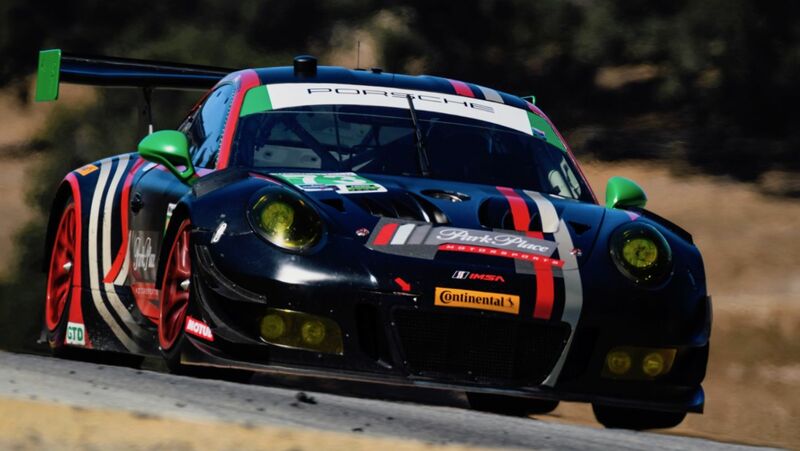 The Porsche fielded by Park Place Motorsports had to retire early from the 2018 Petit Le Mans. Wolf Henzler (Germany) had shared the cockpit of the No. 73 car with Americans Timothy Pappas and Spencer Pumpelly. The Porsche GT Team takes up the last race of the 2018 IMSA Weathertech SportsCar Championship season from the second grid row. In Friday’s qualifying at Braselton, Georgia, Earl Bamber set the third fastest lap time in the No. 912 Porsche 911 RSR. In the sister car with the starting number 911, Patrick Pilet (France) posted the fifth quickest time. The Porsche GT Team sends its two sports cars from Weissach into the ten-hour race on Saturday sporting a design that evokes memories of the Porsche 911 GT1, which scored overall victory at the 1998 Le Mans 24-hour race and pole position at the inaugural Petit Le Mans event. Unlike many of his rivals in the fiercely contested GTLM class, Bamber (New Zealand) initially waited at the start of the qualifying in the hopes of benefiting from improved track conditions and less traffic. The New Zealander, who shares driving duties with Laurens Vanthoor (Belgium) and Mathieu Jaminet (France), made optimal use of the grip in bright sunshine and high temperatures. Over the course of the 15-minute session on the famous Road Atlanta racetrack, Pilet was able to improve significantly. In the end, the Frenchman was just 0.160-seconds shy of his factory driver colleague. Pilet is joined in the cockpit of the No. 911 Porsche 911 RSR by Nick Tandy (Great Britain) and Frederic Makowiecki (France). In the GTD category, customer teams did not take part in the hunt for pole position. 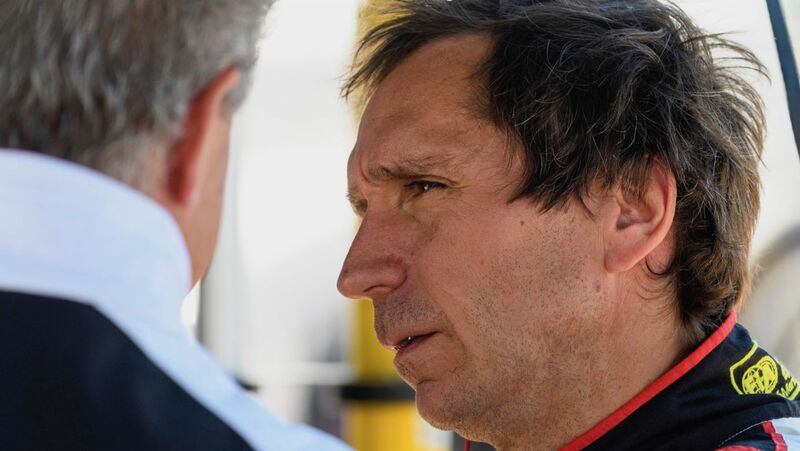 Timothy Pappas turned many laps in the Porsche 911 GT3 R fielded by Park Place Motorsports to gain further insights for the race. The American shares the No. 73 vehicle with Wolf Henzler (Germany) and Spencer Pumpelly (USA). The Wright Motorsports squad also decided not to contest the qualifying. Works driver Patrick Long (USA), Porsche Selected Driver Christina Nielsen (Denmark) and Robert Renauer (Germany) take turns at the wheel of the No. 58 car. Painted with the distinctive blue and red-orange stripes, the two Porsche 911 RSR racers evoke memories of the 911 GT1, which scored overall victory at the 24 Hours of Le Mans in 1998. Twenty years ago, an identical model started from pole position in the famous Road Atlanta race. It was at the inaugural running of the event under the name “Petit Le Mans”. Facing Ferrari, BMW, Ford and Chevrolet, the Porsche GT Team now aims to build on those unforgettable successes with the two race vehicles from Weissach. After a gripping race at Laguna Seca, Earl Bamber and Laurens Vanthoor crossed the finish line in second.